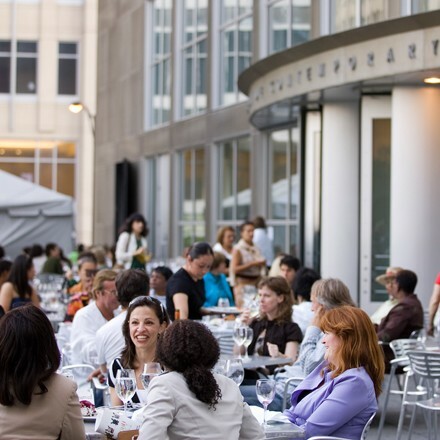 Tuesdays on the Terrace, a weekly jazz performance featuring some of Chicago's notable musicians, takes place on the roof of the Museum of Contemporary Art. Tonight it's Brent Kimbrough & Company. Gorilla Tango's brand of pop culture theater ventures into 90s sitcom territory with Attend the Tale of Danny Tanner: A Full House Musical, which Tony Adler calls a "cheerfully morbid musical goof." In preparation for election season, Uncharted Books in Logan Square hosts a discussion with writers Edward McClelland (Young Mr. Obama: Chicago and the Making of a Black President) and John K. Wilson (Barack Obama: This Improbable Quest) on "Why Obama Will Win in November."